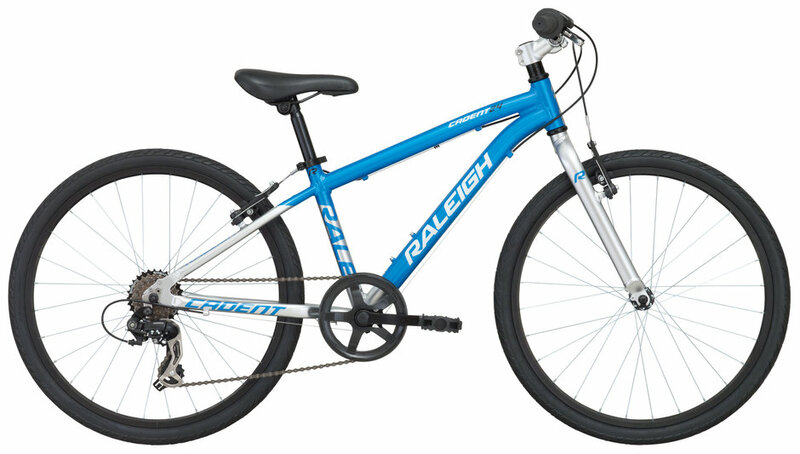 The Cadent 24 is the perfect bike to get your young ripper into his next stages of adventure. With a seven speed Shimano Revo drivetrain, the Cadent 24 will get him learning how to use gears, while also allowing him to take longer rides on a bike just like dad's. The 1.75 inch hybrid tires will inspire the young man with confidence on varied terrain and the quick and light alloy frame will have him dropping his parents on both pavement and gravel in no time. 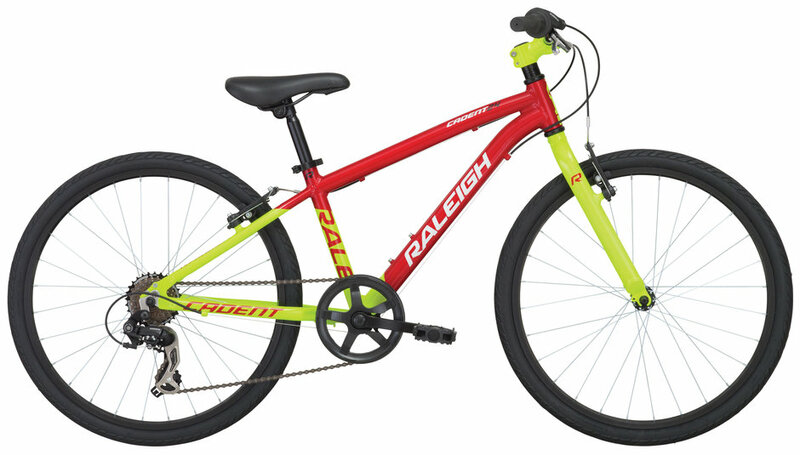 With the Raleigh Sizing System (RSS) decals, posted on all of the 2015 Youth Series bikes, finding the proper fit for your young rider will be as easy as knowing their height and age.